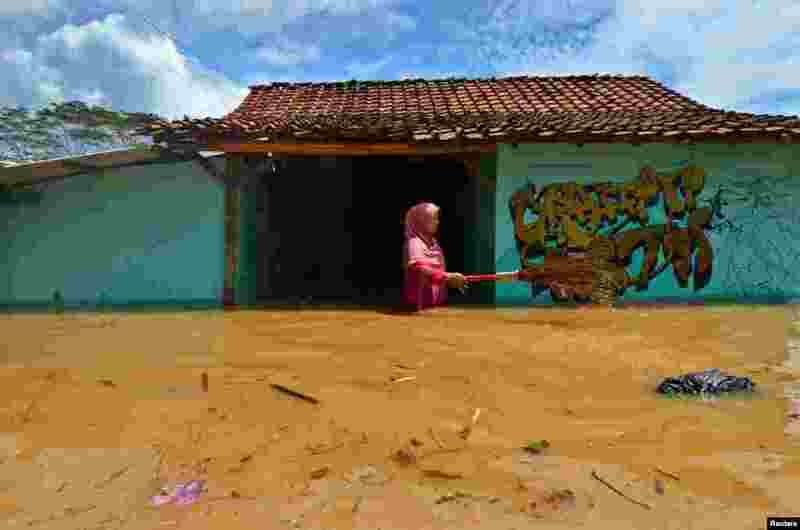 1 A woman villager cleans garbage in front of her house as flood hits Tanjungsari village in Tasikmalaya, Indonesia. 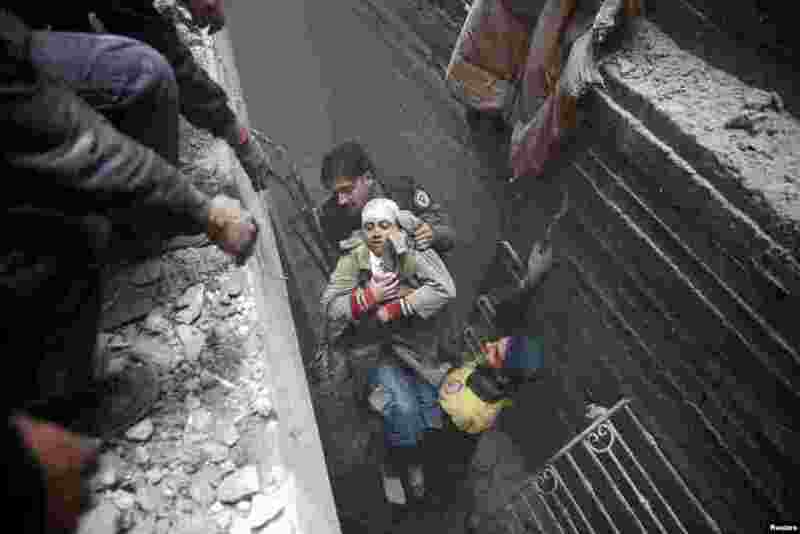 2 Syria Civil Defense members help an unconscious woman from a shelter in the besieged town of Douma, Eastern Ghouta, Damascus, Syria. 3 A man collects lotus flowers to sell whilst floating on a tire tube at a pond in Colombo, Sri Lanka. 4 South Korean President Moon Jae-In (C), his wife Kim Jung-sook and Ivanka Trump (L) pose for photograph during their dinner meeting at the Presidential Blue House in Seoul.